Fountain of Hope is a faith based organization whose main mission is to combat the spread and reduce the impact of HIV/AIDS on orphans and vulnerable children, women, and the community at large through the provision of orphan care services, HIV/AIDS workshops and community based development projects. Gideon and Jennifer have been living in and working with this community since the early 2000's. In the process of doing so they have discovered many vulnerable children; orphans, abused and abandoned children, and children affected by the high levels of poverty in the community. They have brought a number of them into a secure home to better care for them. Peniel Home is on an old farm property. It is a two storey homestead with a large number of cottages. There are many outbuildings in which they have chickens, goats, cows and a large garden with an employee full time producing vegetables. It is an ideal place for the children to grow up. There are things to do and places to play. In July 2013 there were 16 permanently in the home and more were about to arrive. Not all of them are permanent members of the family. Some come to give a period of respite to their families. But many have nowhere else to live as they either have no families, their families have abandoned them or are unsafe to live with. BHW's Field Director continued to dialogue with them and in December 2012 we sent them US$300 to assist with training some of their people in Foundations for Farming. He then visited them in June 2013 and late in 2013 BHW commenced partnering with Gideon and Jennifer at a greater level, providing financial support for the children's home and community development and personal support for Gideon and Jennifer. The children who live in the home are the key beneficiaries here. They will get good meals and will be able to go to school. Justus Maloney is in his late 20's and his role is psycho–social support which means supporting the children, running outings and camps. 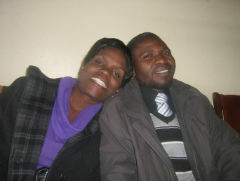 Kwaaele Ncube (Kaiyz) is the base manager and his wife Lydia is the cook. They have a young girl called Lindsey. Xesha Hlongwane (Jennifer’s son) is the driver and IT person. Naomi Gumbo is the girl's hostel manager. Gladys Moyo is an older woman who works 3–4 days in the office. Their passion is to communicate the love of Christ to orphans and vulnerable children by meeting their physical, emotional, social and material needs. They do all that they do to point these children to Christ, the true Fountain of Hope which never dries up. They are doing this by providing a safe home at Peniel Centre for physically, emotionally and sexually abused orphans and vulnerable children. Peniel Centre was established to provide a home, family and psycho-social support intervention to homeless orphans and vulnerable children and we thank God that so many children are receiving healing at this wonderful centre. 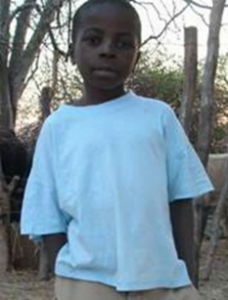 Recently Peniel Centre took in a young boy, Brendon Sibanda, who is a very intelligent young man who has not had a fixed abode since the death of his father in 2007 (5 years ago). After the death of his father, his mother became mentally challenged together with the grandmother and that left this young boy with no one to give parental love and guardianship. He was referred to Peniel Centre by the authorities from the Ministry of Education who trust that they can do a better job in restoring hope to this young man.